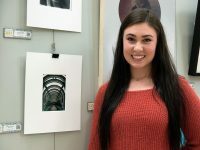 Globe staff photographer Annie Vreeke attended the opening reception for the 2018 Student Art Showcase on Thursday, April 5, before the exhibit opened to the public on Friday, April 6. 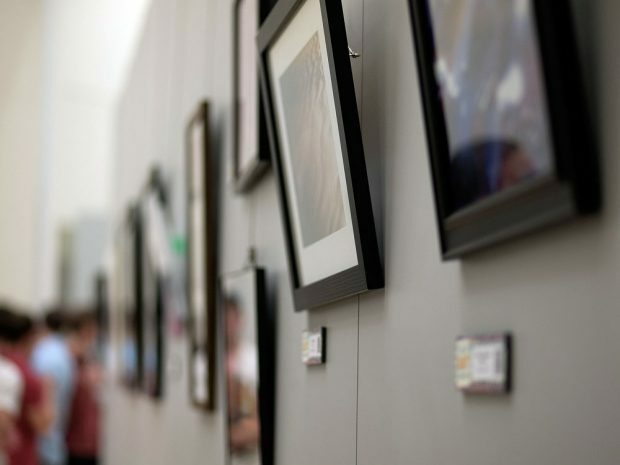 Salt Lake Community College students submitted artwork in various mediums for consideration in the showcase. 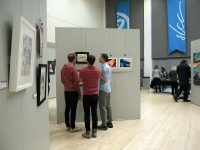 The exhibit is located in the Center for Arts and Media multipurpose room at South City Campus through Thursday, April 19. The exhibit is open Monday through Friday from 10 a.m. to 6 p.m. The exhibit closes at 4 p.m. on April 19. Click on a photo thumbnail below to open the gallery of photos by Annie Vreeke. 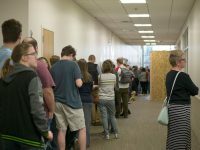 Guests wait in line to enter the SLCC Student Art Showcase at South City Campus on Thursday, April 5. 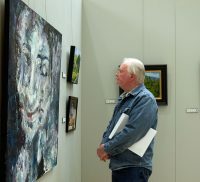 Guests wander around the exhibit viewing student artwork at South City Campus on Thursday, April 5. 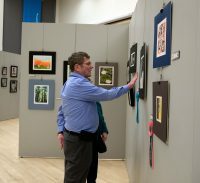 Guests view exhibit artwork at the SLCC Student Art Showcase at South City Campus on Thursday, April 5. Guests admire student artwork on display for the SLCC Student Art Showcase in the multipurpose room at South City Campus on Thursday, April 5. 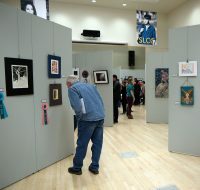 Guests wander through the SLCC Student Art Showcase at South City Campus on Thursday, April 5. Alexander Perry stands next to his fine art piece “Harry Potter” which won an award of merit. 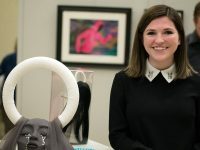 Rebecca Whitehead stands next to her piece “Goddess” which won an award of merit in 3D Design. 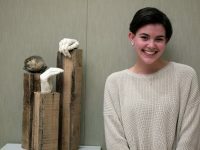 Kylie Johnson stands next to her piece “Empty” at the SLCC Student Art Showcase. She received an honorable mention award in 3D Design for this piece. 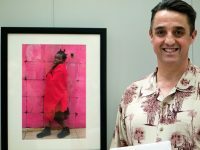 Guillermo Avila Paz stands next to his piece “Ebubu” which received an award of excellence in photography. 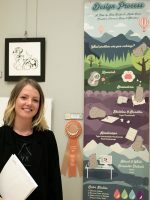 Anna Maja Keefer stands next to her Design Process Infographic which won an award of excellence in design. 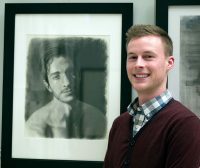 Ryan Steadman-Eves stands next to his piece “Shawn” which received an award of merit in fine art. 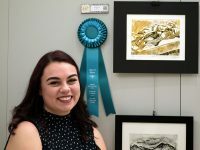 Carlissa Shaw stands next to her printmaking piece, “She” which won best of show. Gentry Hunsaker stands next to her photograph “Don’t Fall” being displayed at the SLCC Student Art Showcase. 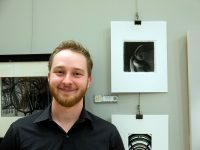 Cameron Howell stands next to his photograph “Drinking Fountain” during the SLCC Student Art Showcase. 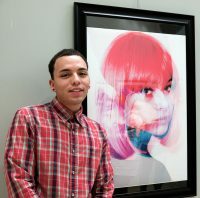 Jacobo Funes stands next to his photograph “Devine Feminine” at the SLCC Student Art Showcase.